Implementation Monitoring and Evaluation Division Imed published New job vacancy Notice at www.imed.gov.bd. Implementation Monitoring and Evaluation Division Imed Jobs Circular offer New vacancy in this post. 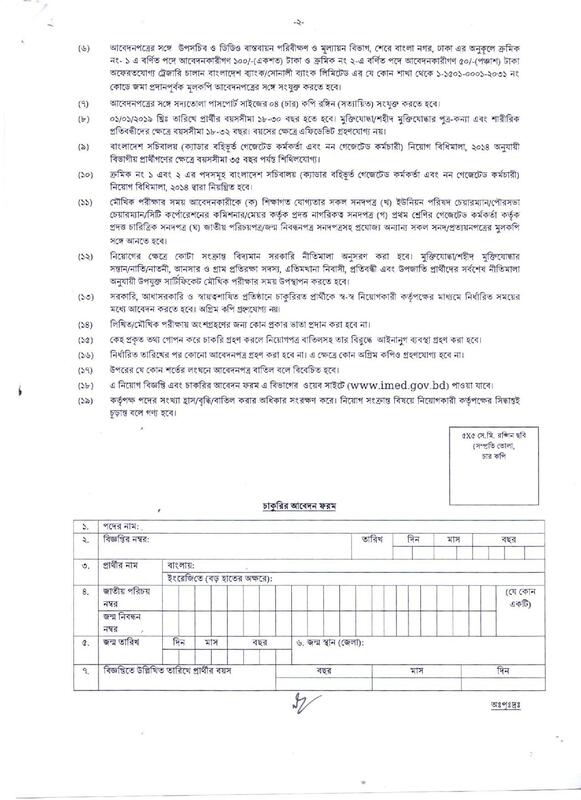 SSC Or Graduate Student also apply this Implementation Monitoring and Evaluation Division Imed govt circular 2019.Implementation Monitoring and Evaluation Division Imed jobs circular converted to an image file,so that everyone read easily or download this job circular. 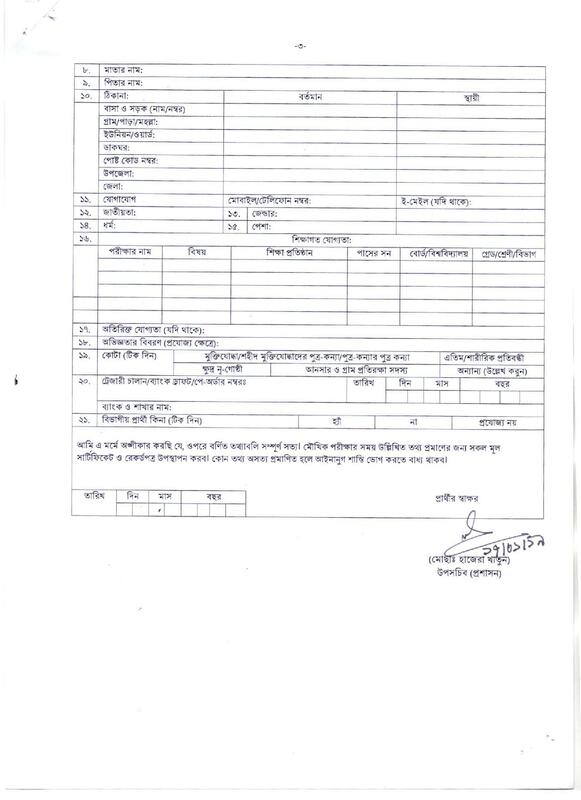 Implementation Monitoring and Evaluation Division Imed Jobs Circular 2019 has been given bellow.If you want to apply for this job,you should submit your application within 12-02-2019. Application Deadline: Application will be continued till 12-02-2019. 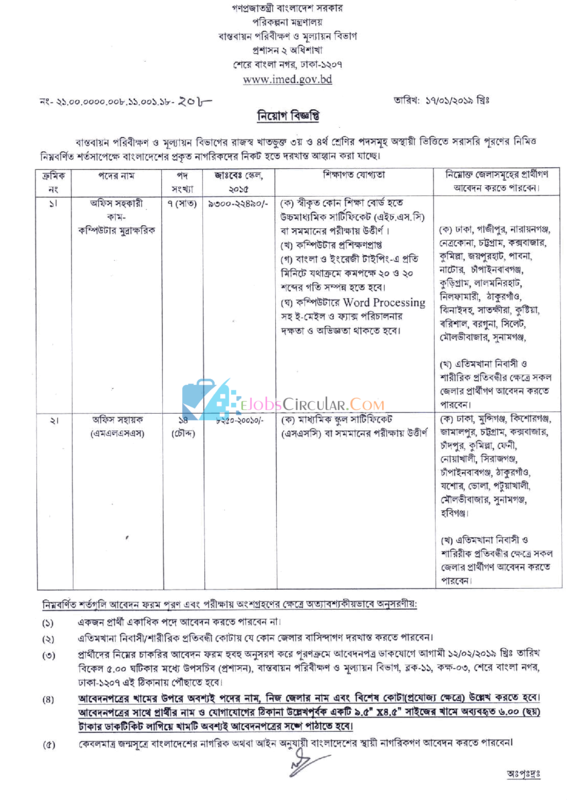 This entry was posted in Dhaka, Govt Jobs 2019, HSC Pass Jobs, SSC Pass Jobs and tagged Govt. jobs, Imed Jobs Circular 2019, Implementation Monitoring and Evaluation Division Job Circular 2019 by Raju Ahmed. Bookmark the permalink.